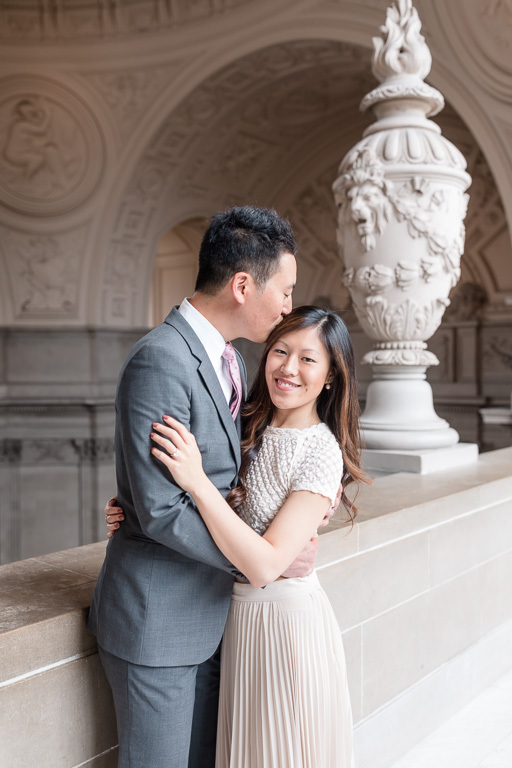 Meet Tiffany & Victor, probably the most successful yet down-to-earth and awesome couple I know. 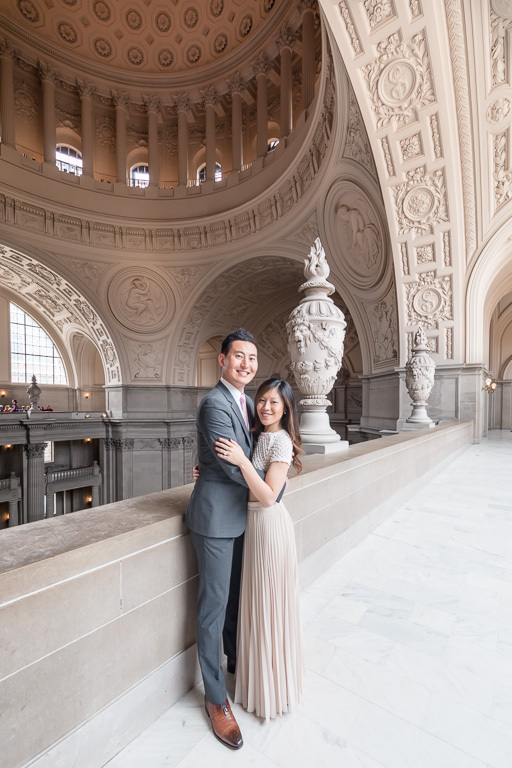 Fifteen years ago, Tiffany and I first met in high school at math team (or was it Science Olympiad?). 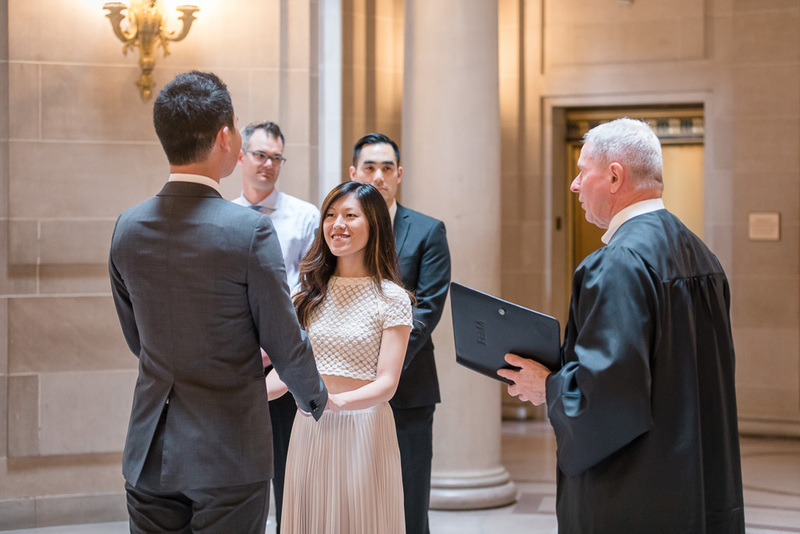 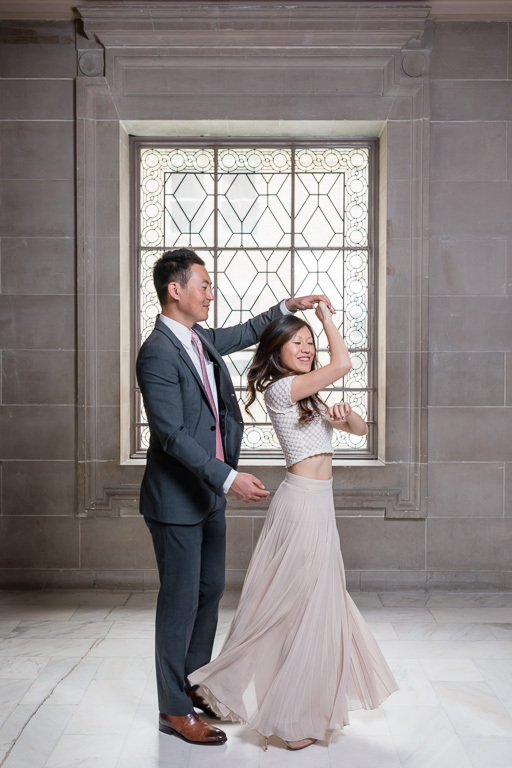 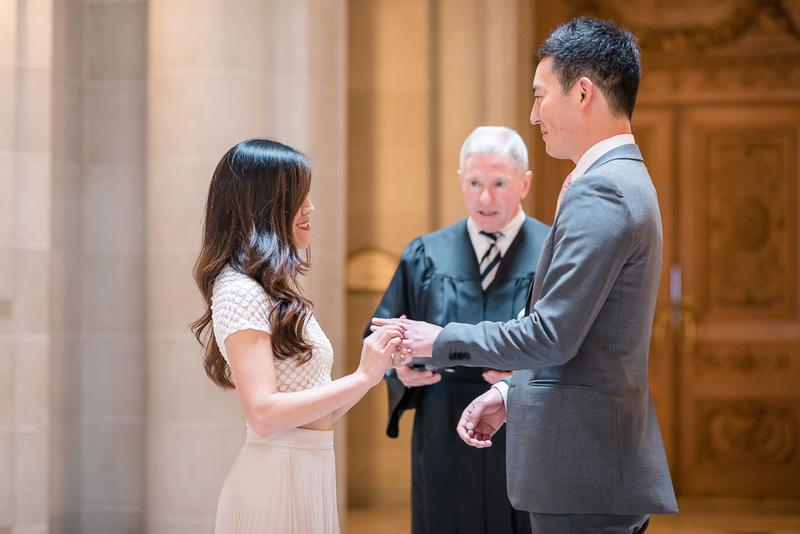 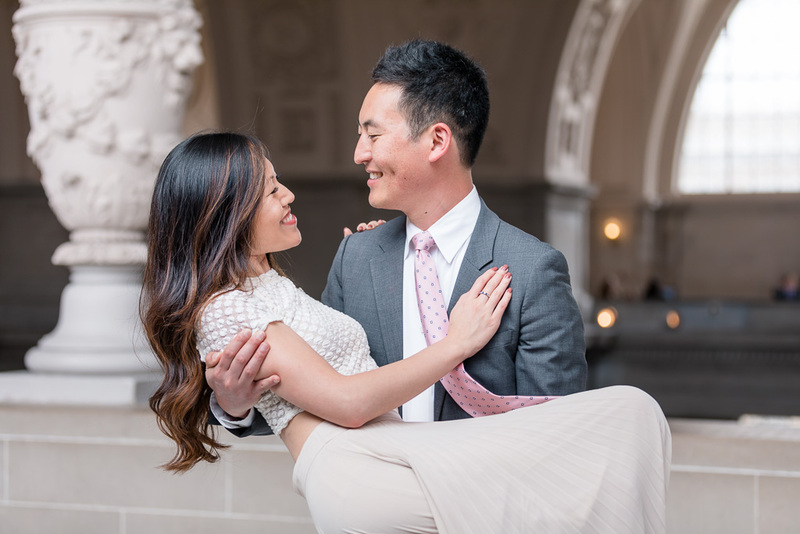 Since then, she’s gone into a 💪 career, met Victor who I hear makes the best beef noodles, and, just last week, had a San Francisco City Hall wedding ceremony to officially tie the knot. 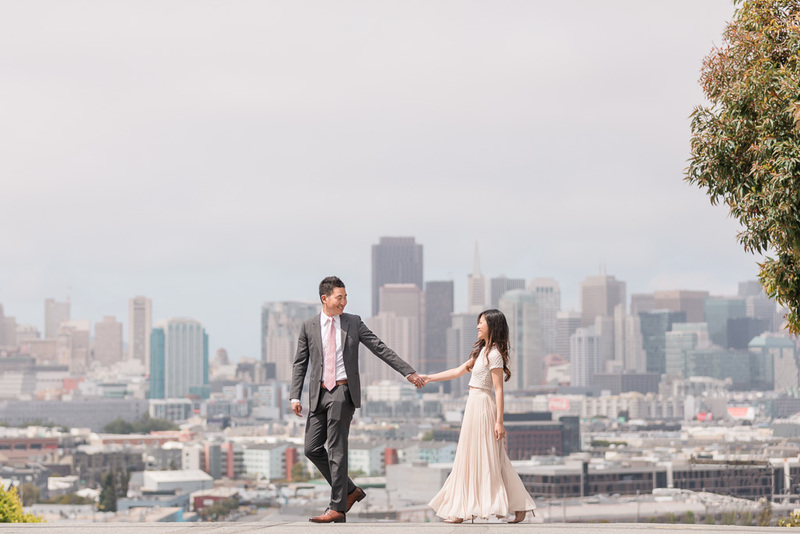 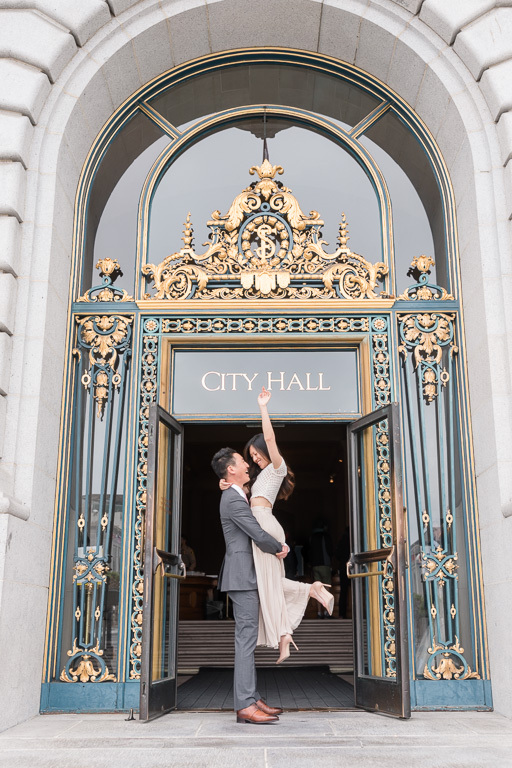 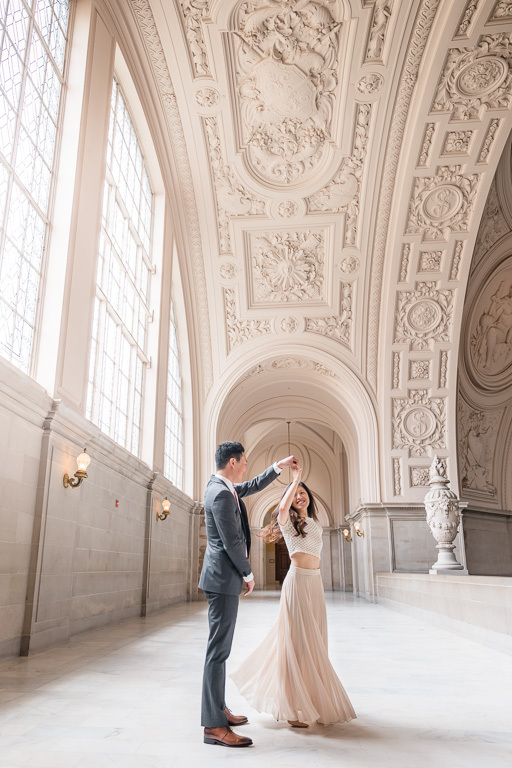 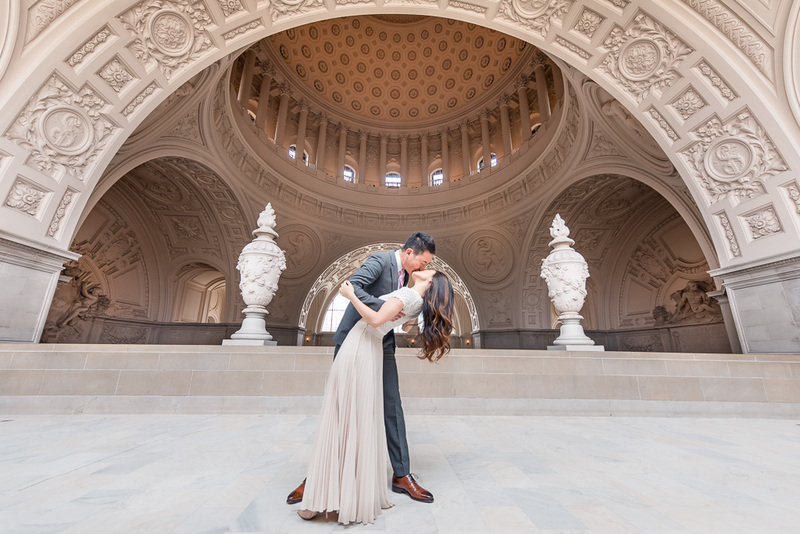 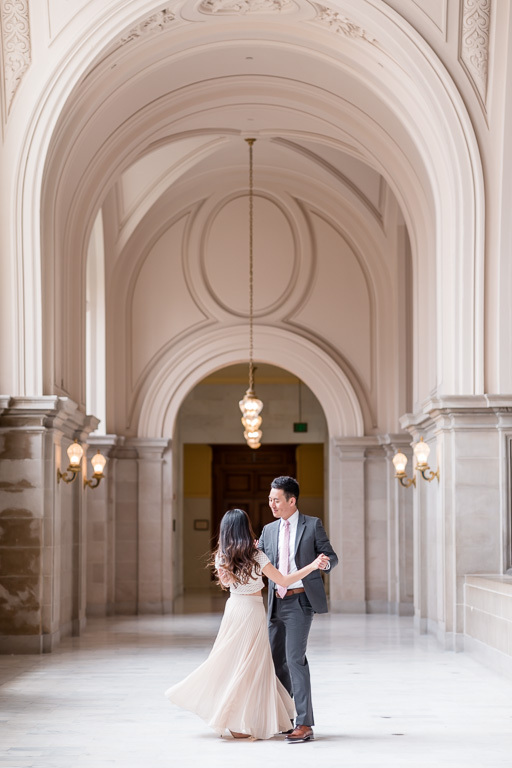 After their short & sweet ceremony in the rotunda, we walked around City Hall for some more portraits, then drove over to Potrero Hill for a few fun photos with the San Francisco city skyline background. 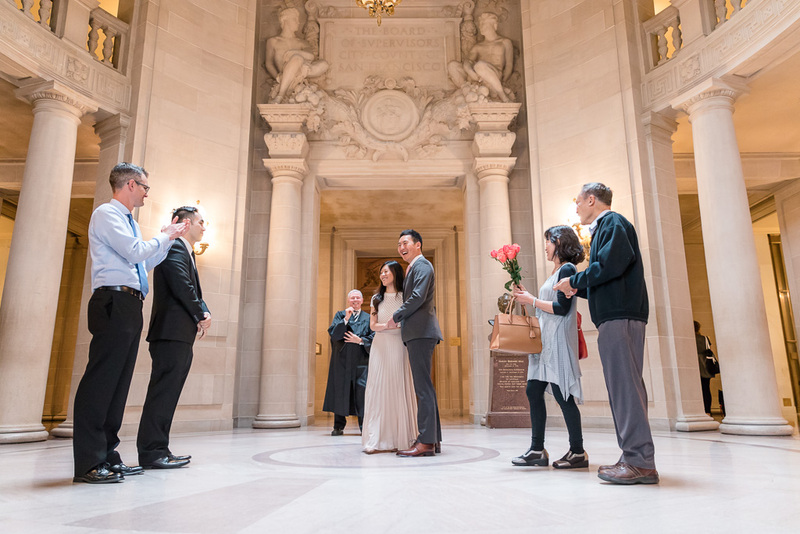 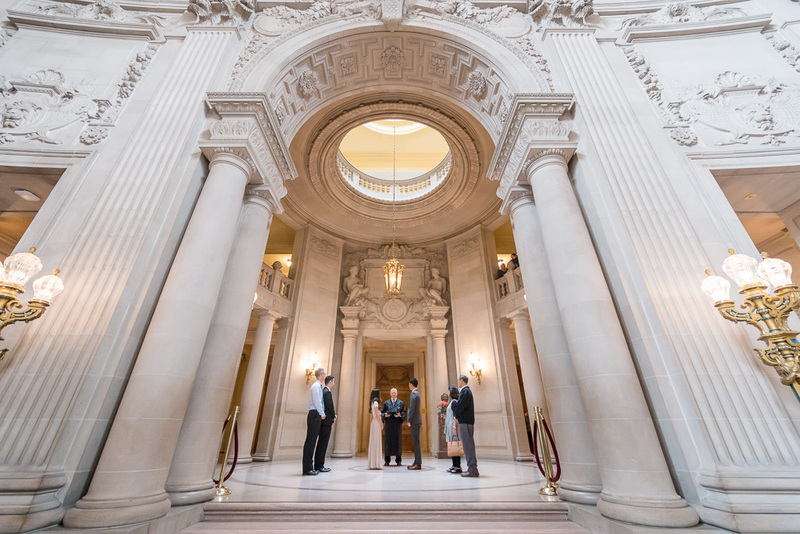 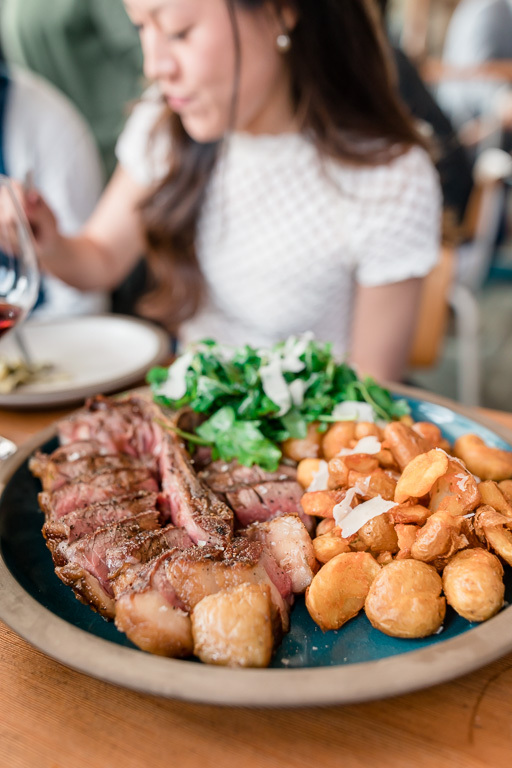 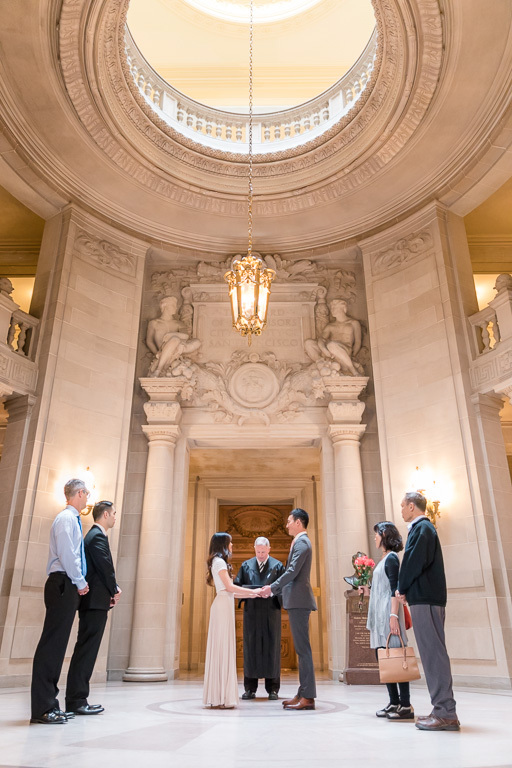 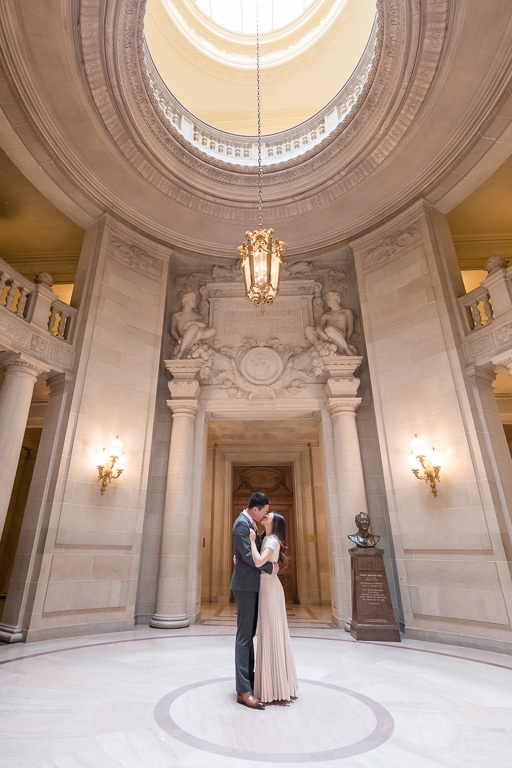 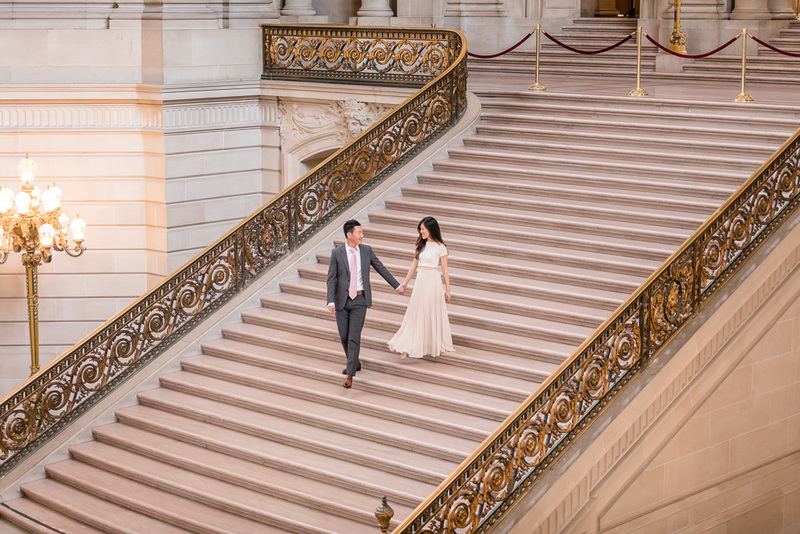 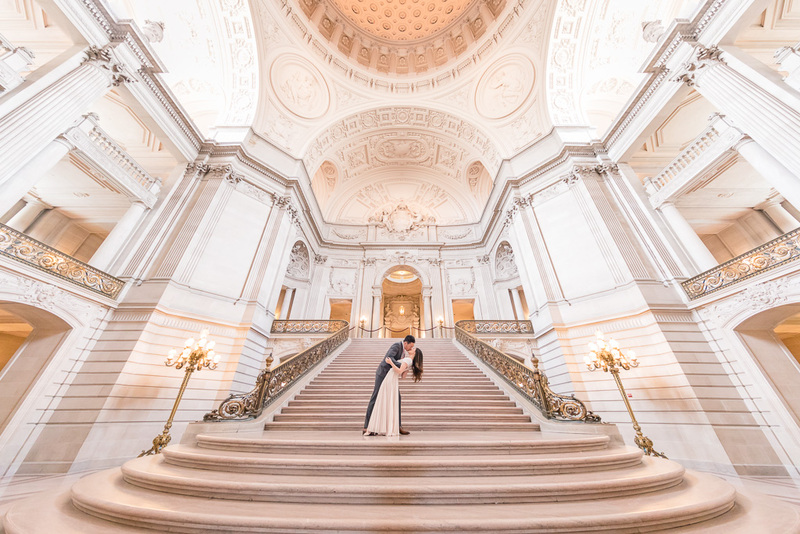 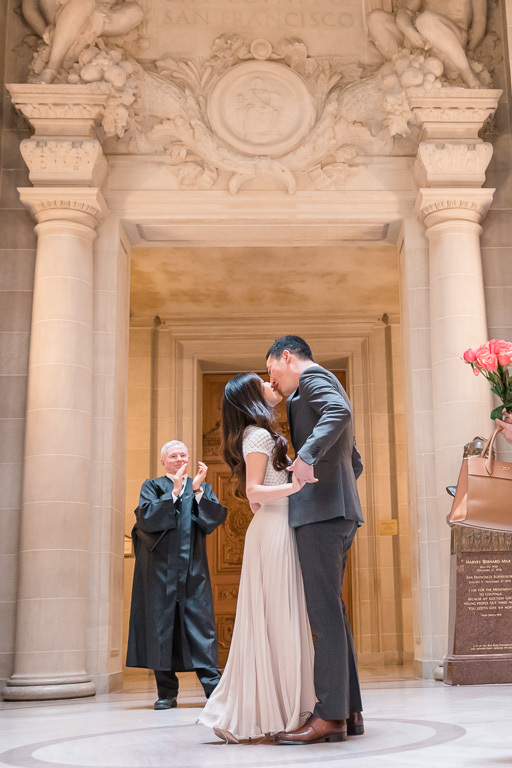 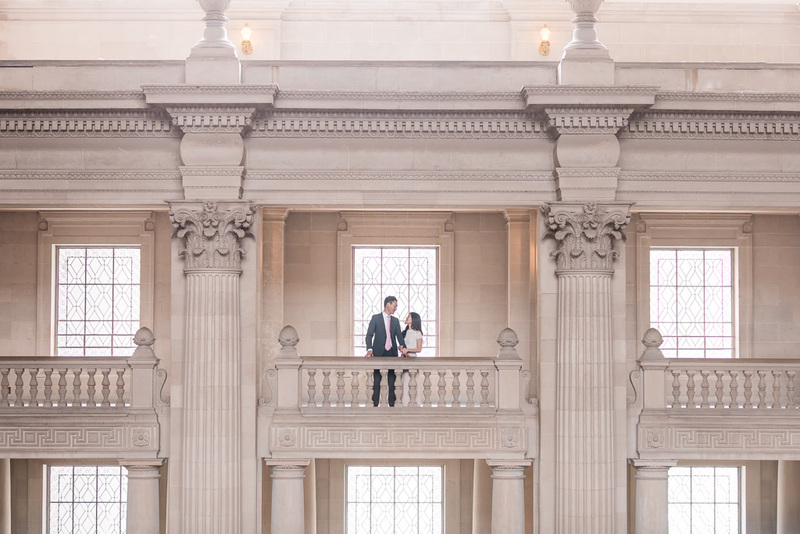 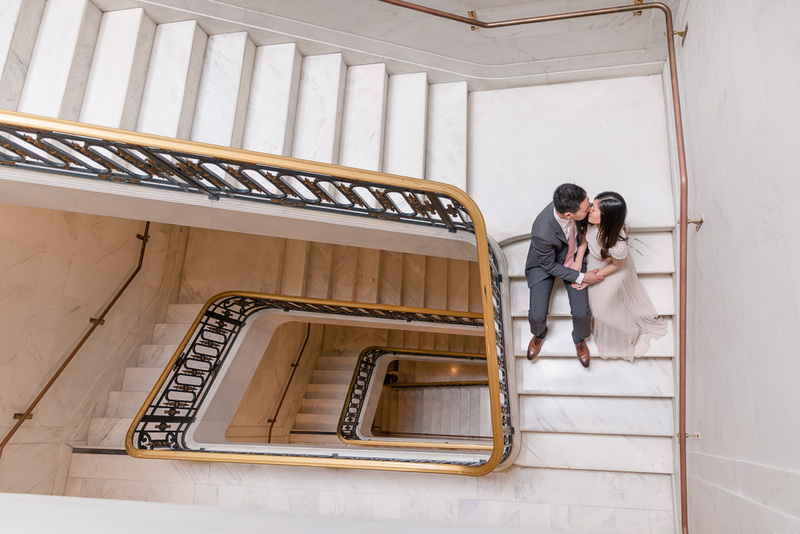 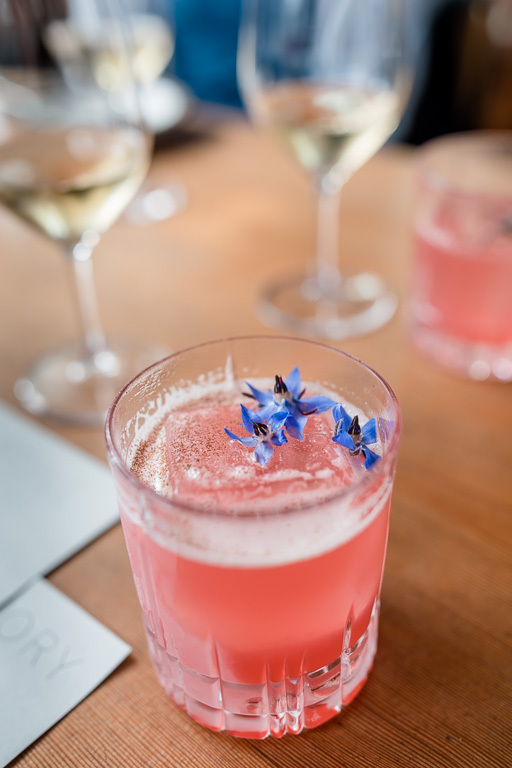 Once the gajillion visitors had cleared out of City Hall, we returned for one last photo on the grand staircase 🙂 We met up with some old friends and all enjoyed a nice post-wedding dinner together at Tartine Manufactory in the Mission. 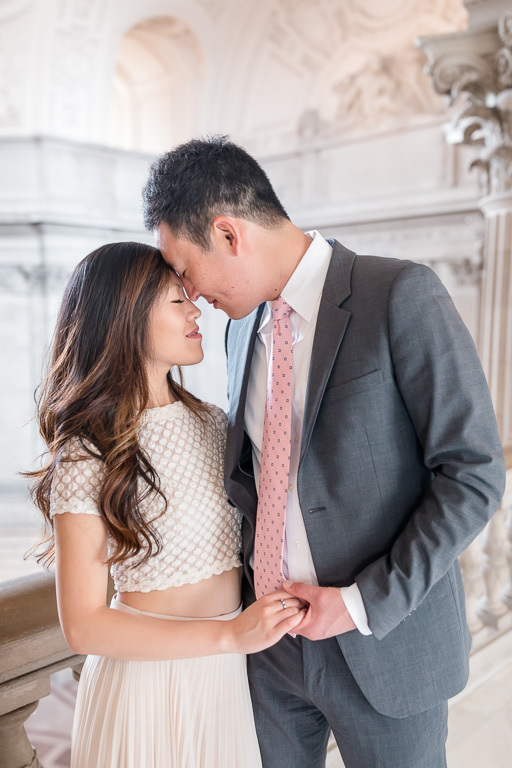 We can’t wait for their wedding in France in less than one week… we’re actually typing up this post from the airport right now! 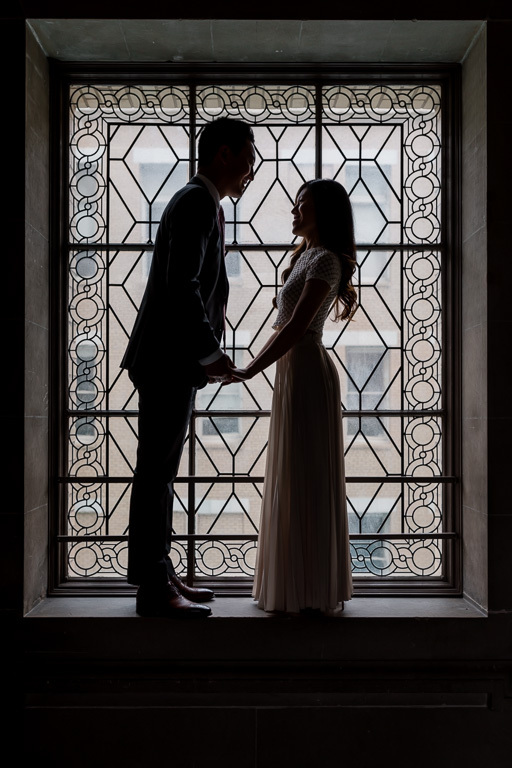 Europe, here we come!